The transit is underway since almost 2.5 hours! Images from the telescope at ESO and other places are now coming at a regular rate. 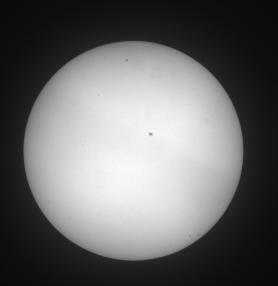 The one from ESO may be seen via the webcam Mercury is well visible as a small black spot at the upper right on the solar disk. 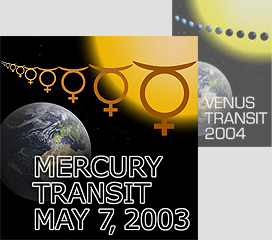 Please note that the solar image is reversed by the telescope optics - this is why Mercury is moving from right to left in these images. The images are updated every 1 minute in principle. The load on the ESO website has been mounting steeply this morning and we have had about 600,000 hits so far (about 10,000 every 5 minutes) Sorry, but it may well be that you will need a little patience to see the images. Composite of images taken by the GONG Network of telescopes from Udaipur, India. The trajectory is clearly seen. 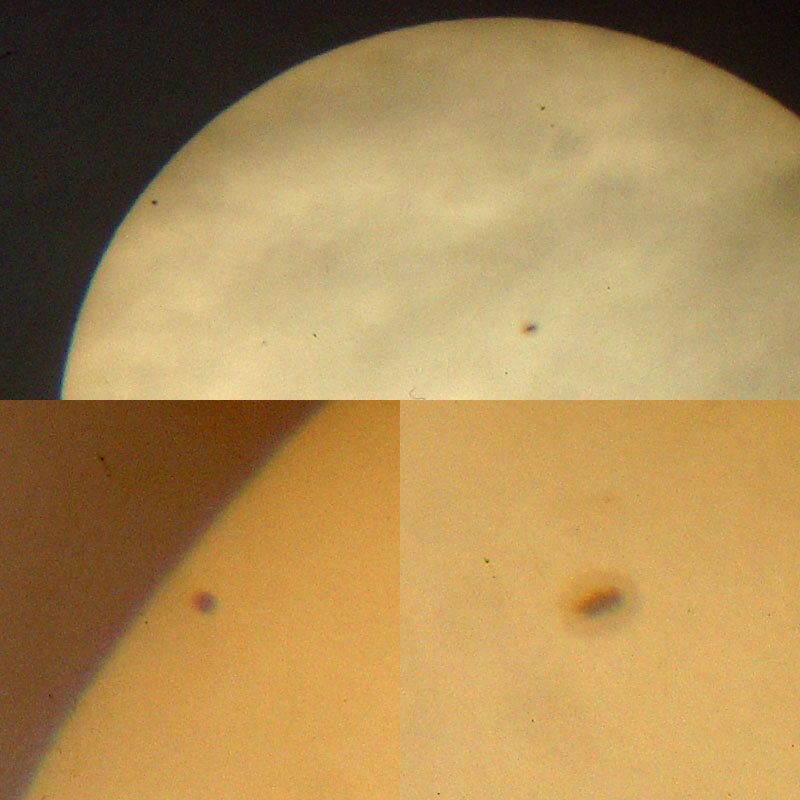 Image taken by Bob Fosbury with a zoom onto Mercury and the sunspot. Image taken by the GONG network from Australia. 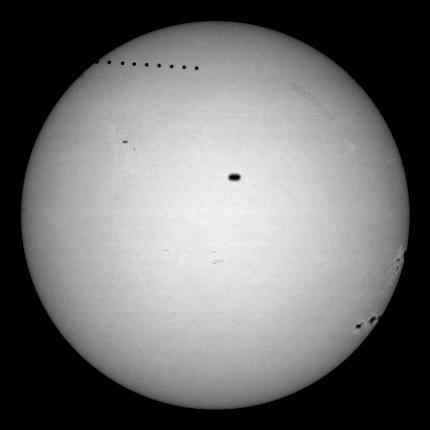 This is a composite image showing the motion of Mercury.